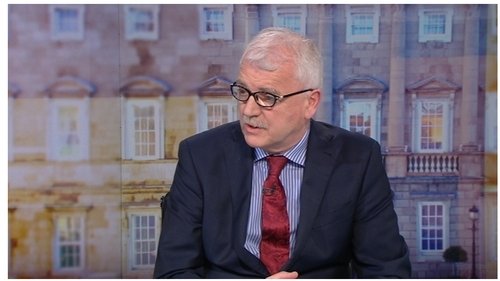 Minister of State with responsibility for Disability Finian McGrath will this morning ask the Cabinet to intensify its efforts to ratify the UN Convention on the Rights of Persons with Disabilities (UNCRPD). Ireland signed the convention more than ten years ago but remains the only EU country not to ratify it. It is 11 years since the then UN secretary general Kofi Annan spoke of the "dawn of a new era" for around 650 million people worldwide living with disabilities. That is when this convention was adopted by the UN and it aimed to guarantee equal human rights to people with disabilities. It essentially brought together all existing rights in one document. Once ratified it requires countries to bring forward laws and measures to improve disability rights. Ireland was one of the first countries to sign up to the UN Convention in March 2007 but still has not ratified it. Minister McGrath will tell his Cabinet colleagues that there should be no further delays on this front. He will argue that key legislation underpinning the convention can be passed through the Oireachtas after the convention has been ratified. This would, he believes, allow the convention to be ratified with reservations before the end of the year. The proposal has been criticised by the Rehab Group, Ireland's largest disability charity, which described it as an empty gesture in the absence of the urgent implementation of all of the required legislation identified in the treaty. Director of Communications and Public Affairs Kathleen O'Meara said Ireland is the only country that has not ratified the UNCRPD, despite signing the treaty more than ten years ago. She said a decision "to ratify without commitment to strict timelines for enactment of much-needed legislation will make a joke out of ten years of campaigning by disability groups". Separately, the Cabinet will also discuss a bill that would grant official recognition to Irish sign language. The bill, which was originally proposed by Fianna Fáil senators, could be debated in the Dáil next week.